Think you know who is Britain’s most prolific writer? Is it Charles Dickens? William Shakespeare? Not even close. 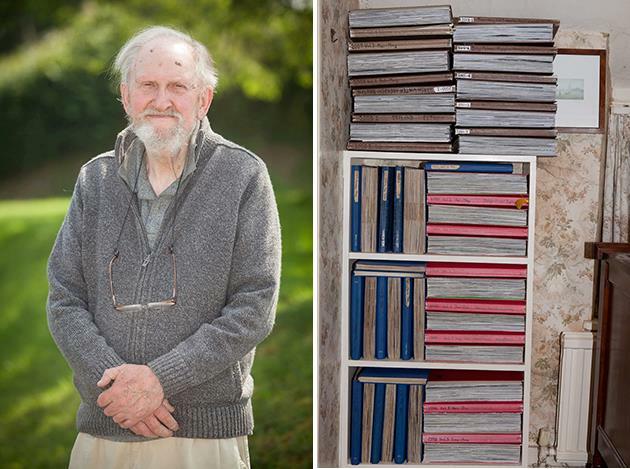 Retired English agriculture consultant John Gadd has spent 20 minutes each day of the past 66 years chronicling whatever captures his imagination, and the result is 20,000 pages of thoughts, drawings, photos and even wine labels spread across 151 volumes. 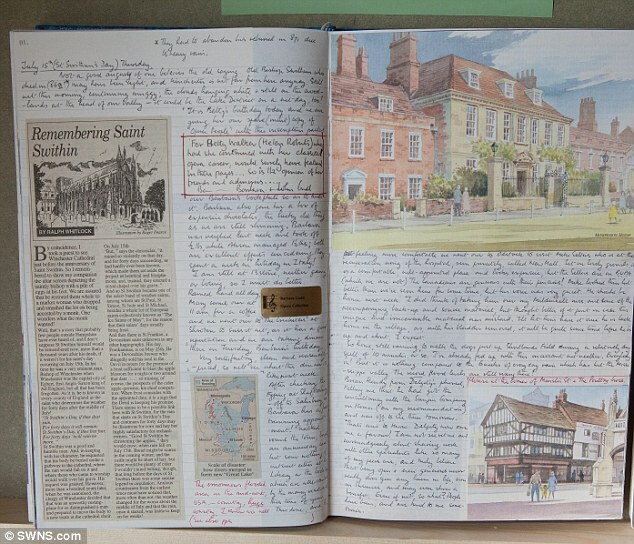 His journals have significance that go beyond capturing the memories of one family as he has immortalised some of the most influential events of the past half-century through notes and newspaper clippings. John writes: “Spent morning in front of the goggle box. Had a cold lunch when it was over. November 9, 1989 – Fall of the Berlin Wall. John writes: “Beastly wet. Worked until it was time to collect Barbara from station. What began as a whim has turned into a bit of an obsession for the now-retired Gadd, who takes the time to record every detail of his daily life, right down to when and where he walks the dog. While he spends less than half an hour on the entry for each day, he annually takes a two-week break to create an index for that year’s diary. With his journals providing a detailed social history of English life in the twentieth century, John Gadd has recently taken them public for the first time. 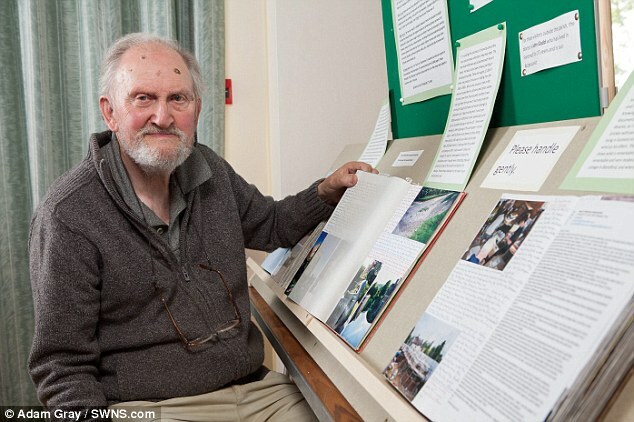 Ten of the volumes were displayed at the Fontmell Magna Village Archive Society’s ninth annual exhibition, allowing the rest of Dorset County to experience life through John Gadd’s eyes. Have you been keeping a daily record of your life? How many volumes of journals have you filled? 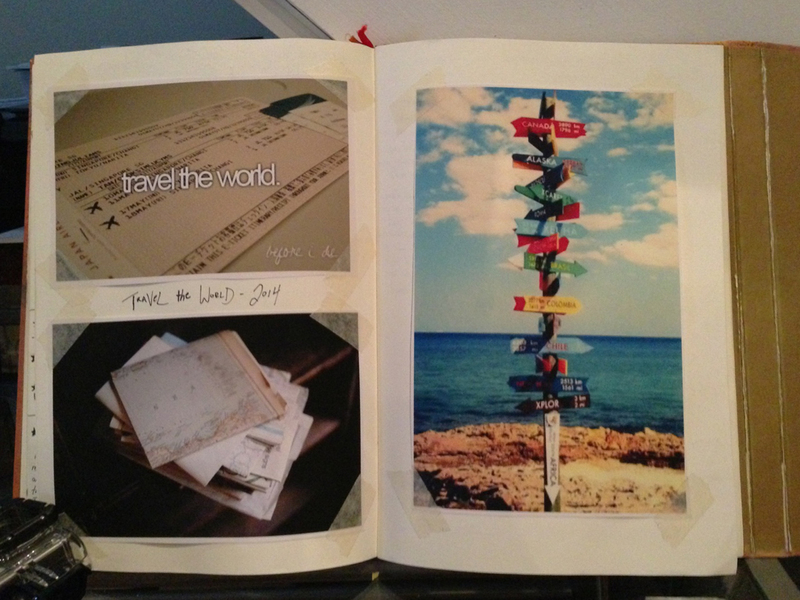 Let us in on your journalling habits in the comments below! Really enjoyed this post. I love learning about other diarists. I can’t imagine how impressive your collection will be when you hit 66 years! I’ve been writing for almost ten years and it’s my 53rd notebook already. Tomorrow I’ll be hitting the 9,000 pages mark. I can’t imagine not to write anymore and I’m currently trying to get digital copies so no memories are lost even if something happens to the books. I guess every diary keeper knows this paranoia. That’s amazing, Lisa Maria! I can definitely relate to the fear losing all those memories and hard work. Good luck with the digitisation! Update: Silly me! I should have known I recognized your name, Lisa Maria. 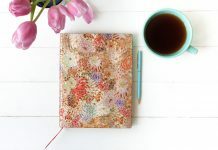 We’ve already featured your writing as part of our Artist Profile series (http://blog.paperblanks.com/2012/02/german-writer-lisa-maria-kosmann/). 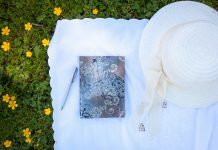 Keep up the great journalling! Thanks, Titanilla! 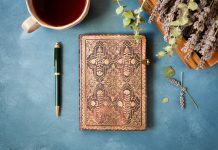 The memento pouch is definitely an important part of the Paperblanks design. One more reason to save all your journals!